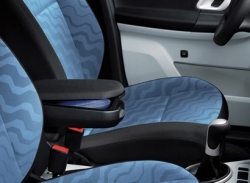 Product Details: This practical central, cloth upholstered armrest between the driver’s and front passenger seat makes long journeys more comfortable. With integrated fold-up storage compartment for small items(VAG Group) Original part which is safer, lasts longer, fits first time and comes with a two year warranty. To have this item dispatched to you asap click add to basket!